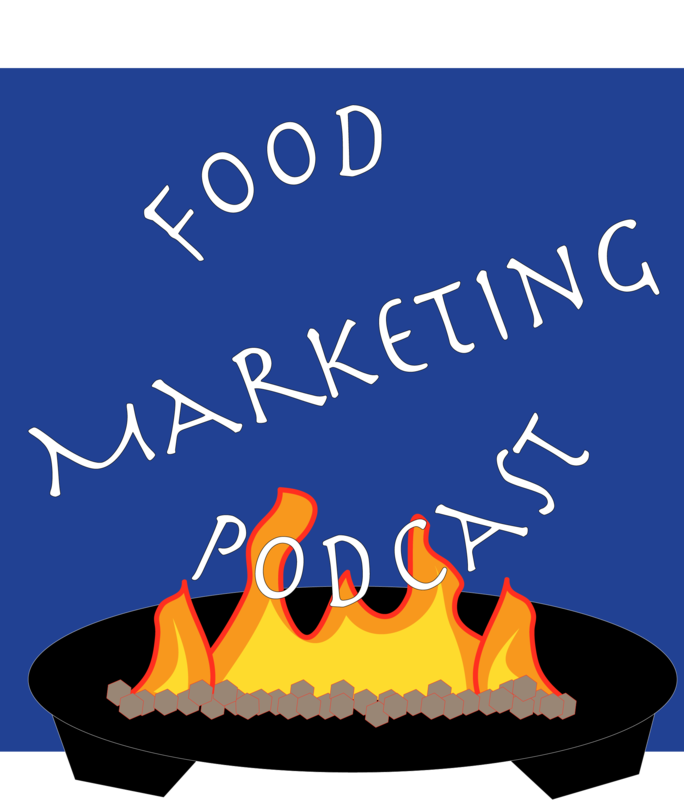 Hearing the stories of food-marketing professionals from around the world allows you, the Food Marketing Universe, to learn how to engage with customers and sell your own products or services! She’s the anti-marketer, working to improve the health of kids through better food choices in schools and other public venues. Her passion is trying to block the incessant marketing to children that undermines the work many parents do at home to encourage healthy eating habits. Please introduce yourself so the Food Marketing Universe can understand where you’re coming from, and then please introduce us to your work. My name is Casey Hinds and I am an advocate for a healthier food environment for kids. I blog at USHealthyKids.org on a number of topics including: the need for stronger school wellness policies that address not using food as a reward, healthier school celebrations and healthier fundraisers. I use social media to push back against the marketing of junk food to kids. My prior experience as an Air Force pilot gives me a unique outlook when it comes to addressing these issues. I started this work when my children were born because we have a family history of type 2 diabetes and I was committed to increasing their odds of avoiding a diet related-chronic disease. This meant teaching them healthy habits and advocating for them being supported outside the home as well. Do you have a saying or quote that inspires you? I attended the US Air Force Academy and one of the quotes we were taught was by General George C Marshall. He said, “There is no limit to the good you can do if you don’t care who gets the credit.” There are two reasons this quote still resonates with me decades later. First, it emphasizes doing good for the sake of doing good. Second, I’ve seen how staying focused on accomplishing good instead of getting wrapped up in claiming credit is a force multiplier. Please tell the Food Marketing Universe about something in your work that didn’t go according to plan. What was it, and how did you react to the situation? What did you learn as a result? I attended a PTA meeting once and there was a marketing representative from a fast food company making a pitch to bring their fast food mascot to school. I mentioned my objections to using our school as an ad since children under 8 years of age don’t understand the persuasive intent of marketing. Fast food companies know this and take advantage of children’s unique vulnerabilities by marketing in schools to circumvent parental gatekeepers. Instead of acknowledging the research about the harmful effects of fast food marketing to kids, the PTA president told me if I didn’t want my kids marketed to at school I should homeschool. I kept attending PTA meetings and speaking up for school wellness and eventually saw a shift take place. I learned it often takes more than just one conversation to change people’s minds and persistence pays off. Tell me about a goal that you wanted to accomplish, and how you made it happen. When my children were young and we lived in Lexington, Kentucky, it was frustrating to take them to the city pool because the food at the concession stand was so unhealthy. One day I met the director of Parks and Recreation and mentioned my dilemma. I did not want to feed my kids unhealthy food but there was also a sign posted that we were not supposed to bring in outside food or drink. He recognized the Catch-22 and offered to work on a solution. That was the beginning of Better Bites, a program that ensures healthy choices are available where children live, learn and play. As far as I know Lexington, Kentucky is still the only place where you can get fresh fruits and vegetables at the city pool concession stand. It has expanded into school concessions, the professional ballpark, local restaurants and all 17 Kentucky State Parks. This summer, fruit outsold chicken nuggets at the city pool 3 to 1. The key was speaking up on behalf of healthy food and being lucky enough to have someone willing to listen to those concerns and help make it happen. What’s your long-term goal? What actions are you taking to make that goal a reality? My long term goal is to change the food environment for kids from one that undermines their long term health to one that supports it instead. More people are recognizing the problem of junk food marketing to kids and I would like to see an end to the barrage of junk food ads aimed at kids. One action I took to achieve this goal was attending the McDonalds shareholders meeting in May. I told the CEO that Ronald McDonald is the Joe Camel of fast food and does not belong in schools marketing to students. He said we do not put Ronald in schools but that is not true. In July, an international coalition of advocacy groups responded by sending a letter to the CEO asking him to end this exploitive practice. When Ronald McDonald has assemblies in schools and libraries, it teaches children to put their trust in fast food. With rising rates of obesity, type 2 diabetes and fatty liver disease in children, that is not a lesson our children can afford to keep learning. How do you incorporate social media into your work? When I started teaching my children healthy habits to avoid diet related disease, I turned to the internet to find research on best practices and support. Some of the resources I found that were very helpful included Center for Science for the Public Interest, Yale Rudd Center Food Policy and Obesity, and Campaign for a Commercial Free Childhood. I started reading blogs devoted to good nutrition and children’s health including The Lunch Tray and Real Mom Nutrition. Eventually Bettina Seigel of The Lunch Tray asked if I would consider writing a guest blog post for her. That gave me a taste of blogging and I continued to grow my social media presence by joining Twitter. I was able to connect with a number of authors whose work on food policy I admired. One of those, Michele Simon, suggested I consider starting my own blog. I started Kentucky Healthy Kids almost two years ago and changed the name to US Healthy Kids this summer when I moved to Seattle. Please share a specific experience that has inspired you in your work, past or present. A specific experience that has inspired my work was the smoking ban adopted in Lexington, Kentucky when my oldest was a baby. My grandmother had been a smoker and suffered the health harms of tobacco. I remember there were cigarette vending machines in restaurants and smoking on airplanes when I was a little girl. I was grateful for the advocates who pushed for the changes we see today and allowed me to raise my children without having to breathe second-hand smoke. I want to pay it forward by creating a change in social norms when it comes to drinking soda and promoting junk food to kids. That is why I wrote to my father in Berkeley, California urging him to support the soda tax this November. We saw the dramatic effect tobacco taxes had on reducing youth smoking rates and I think the time has come for a similar change when it comes to soda. I personally believe that reading is an important part of self-improvement. Do you have a favorite book that you could recommend? These companies, including McDonald’s, Coca-Cola, Kraft, and General Mills, are increasingly on the defensive. In response, they pretend to sell healthier food and otherwise position themselves as “part of the solution.” Yet they continue to lobby against commonsense nutrition policies. Appetite for Profit exposes this hypocrisy and explains how to fight back by offering reliable resources. Readers will learn how to spot the PR and how to organize to improve food in schools and elsewhere. What are some online resources that you use that others could benefit from using? I mentioned the resources from CSPI, the Rudd Center and Commercial Free. Marketers go too far when they use the “parental responsibility” argument to imply that they themselves should not be held accountable for egregious intrusions into children’s lives—especially since marketers are increasingly going out of their way to circumvent parents, seeking out children in venues where parents aren’t present. Overextended parents should not be forced to raise children in plastic bubbles while marketers enjoy free reign to accost kids who unwittingly venture into a commercial world by simply attending school or a public library. The fact that parents hold primary responsibility for teaching children positive values does not imply that corporations should be allowed to undermine parents and saturate kids with harmful messages. We’re almost done here, but first I have an odd questions for you, so please take some time to think before answering: If you could hop in a time machine and go back to meet your younger self, freshly starting out on your career path, what piece of advice would you give? If I had known I’d end up a blogger, I would have advised my younger self to change my major from engineering to writing. I certainly spend more of my time writing than engineering although my training as an Air Force Pilot has come in handy when it comes to advocating. For example, an important part of my military training as an aircraft commander was Crew Resource Management (CRM). CRM focuses on interpersonal communication, leadership, and proactive decision-making to ensure flight crewmembers will speak up and Aircraft Commanders will listen in order to avoid the loss of an aircraft. When my oldest started Kindergarten, I was distressed to see that many of the lessons of personal protection I was teaching at home were being undermined at school where candy was given as a reward, class parties overloaded children with junk food, and fundraising involved peddling candy and cookies. I relied on CRM training to address the school wellness problems, not only with my child’s teacher, but also with the principal, school council, and PTA. Often the message was not welcomed at first but persistence usually paid off. Lastly, if a member of the Food Marketing Universe was intrigued by what you’ve said today, how can they get more information? Do you have any final thoughts before we go? I would advise your listeners to get ahead of the curve when it comes to the issue of junk food marketing to kids. Companies who take advantage of children’s developmental vulnerabilities to sell unhealthy food will face a coming backlash. We saw this happen with Joe Camel and tobacco. We no longer tolerate Joe Camel trying to undermine parents’ efforts to raise healthy kids and the writing is on the wall for the Coca-Cola polar bear and Ronald McDonald. It is time for them to go.